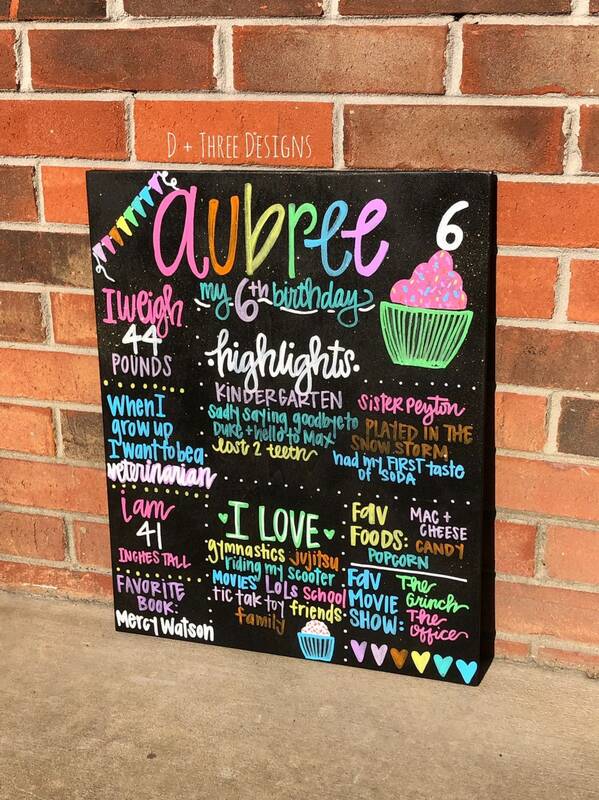 We have so many fun ideas and colors! Tell us your wedding, gender reveal, graduation, adoption, or birthday theme and let us make something special! 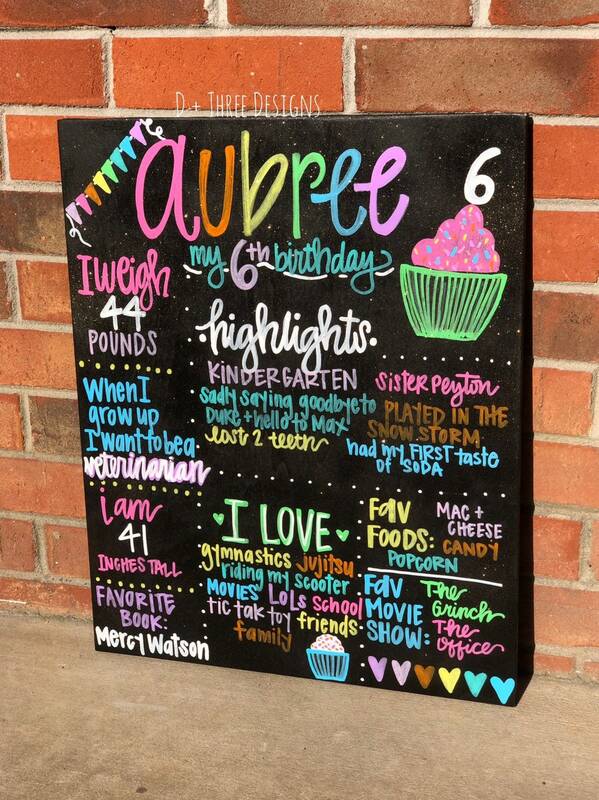 The chalkboard signs are 16 x 20 made from 1/2 inch birch wood. 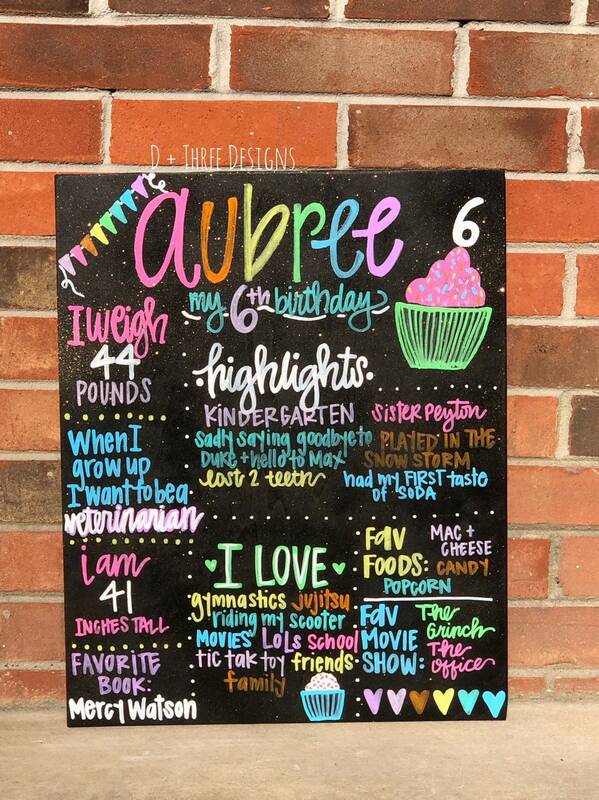 The birthday board pictured is with a rainbow inspired birthday theme. 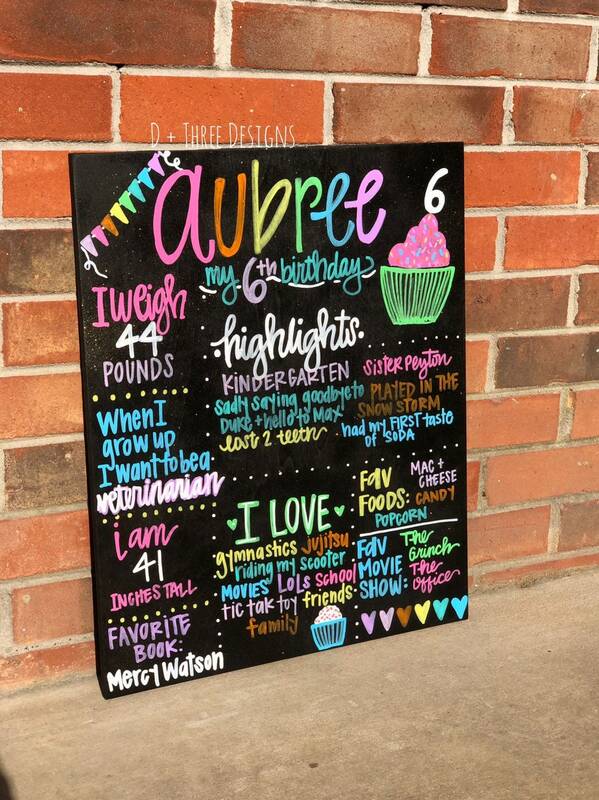 This is great for a rainbow birthday, unicorn birthday, or just adding some birthday color. We can make ANY THEME or color scheme. 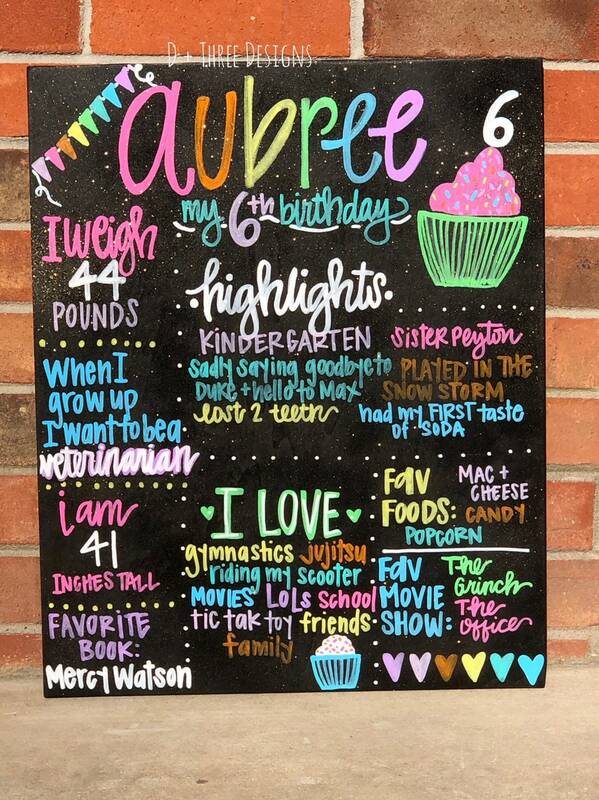 All you have to do is provide me with a list of special things you want to include on your board, and I'll do the rest!